In a normal election, the story would have been that the Conservatives had achieved their majority. 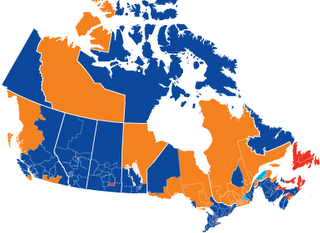 But the Canadian election of May 2, 2011 was anything but normal. My dad, a devout NDP supporter from Saskatchewan, was audibly giddy when I talked to him shortly before the polls closed and national election coverage on CBC was about to begin. The last time the party had made a significant dent in the polls was 1988 when they won 43 seats under Ed Broadbent. 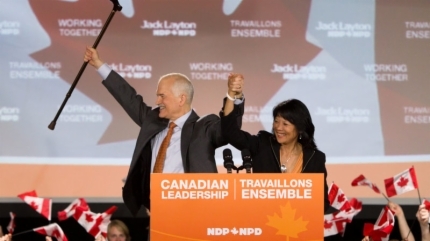 Up until a couple of weeks ago, it appeared like this national exercise was going to be like any other, with Jack Layton and his orange colleagues winning 30+ ridings and parliament remaining in a minority scenario. That was, until the inexplicable surge. Canadian politics reached the proverbial tipping point around April 20th, as the NDP numbers began a steep journey upwards from the mid teens to a high of 33% the day before the vote. I was looking at some predictions, crafted around polling data, that prognosticated a Conservative majority (though just barely) and an NDP performance that would result in 70 to 100 seats. Honestly, it was unthinkable to imagine this party getting into triple digits, as the skeptic in all of us had unavoidable doubt about whether the research would play out, if people would change their minds when they picked up their little pencil in the voting booth. The Canadian Election of 2011 proved to be both transformative and destructive, a political earthquake that reshaped the landscape. The Bloc, once unshakable in Quebec was decimated. 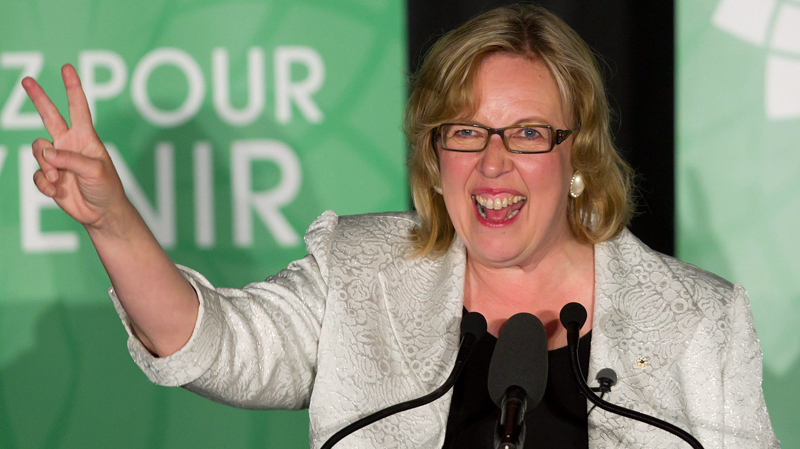 "I just realized that I have more seats in my car than the Bloc has," wrote one pundit on Twitter. They plummeted from 47 seats down to 4. 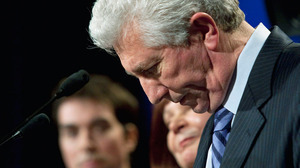 Leader Gilles Duceppe quickly announced his resignation and the return to his other life. The Liberal Party of Canada was equally crushed, dive bombing from a modest 77 seats to a dismal 34, uncomprehendingly less than John Turner's result in 1984 at the hands of the all-powerful PCs under the leadership of Mr. Mulroney. 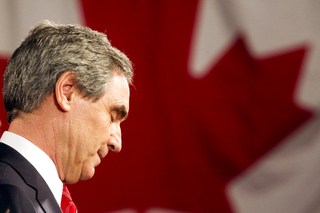 Michael Ignatieff quickly threw in the towel, announcing his departure the morning after the election. 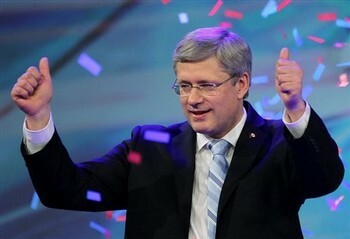 Meanwhile, Prime Minister Stephen Harper and his calculating political machine rolled from coast to coast and sucked up an impressive167 seats. The Blues were anything but as they stared in the face of the mandate they had long been courting. But the story of this election is not the Conservative majority, nor is it the surprising end of Gilles Duceppe and disappearing relevance of the Bloc. It's not the failure of Ignatieff's Liberals to re-ignite support for a party that was once invincible; that's a story that had been forming itself for quite some time. Nope, the story of this election is the orange surge that swept from Atlantic Canada to British Columbia, a whisper that turned into a murmur that became a roar. I suspect that political scientists will look back with keen interest on what exactly happened. Political parties of all stripes will try to understand how they pulled it off. Was it strategic and planned, or was it the stuff of miracles? Was the tipping point a universal itch for change that spread virally through the social media networks and from mouth to mouth? Perhaps it was a combination of all those factors, and a few more lurking under the rocks that will form the foundation of the NDP party, the Official Opposition for the first time in their history. And I don't know if it was terribly surprising, but it was nice to see that Elizabeth May and her fledgling Green Party won her seat on Vancouver Island. It was a pleasant end to what had been a rollicking ride that few would have expected just a few short weeks ago.